The Dominican Republic is a fantastic cruising destination. Few charter yachts visit there because marinas and support services are still somewhat limited compared with more developed destinations in the Caribbean, but the experience can be absolutely fantastic. 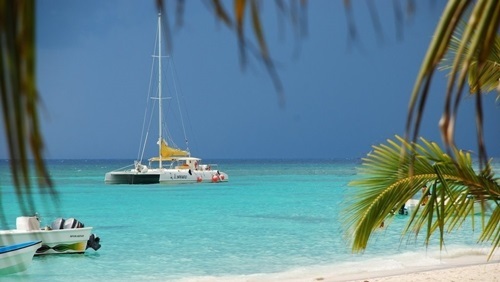 Yacht Charter in Punta Cana is quickly becoming a very popular past time for tourists. Punta Cana is home to two marinas that are capable of mooring large yachts. These are the marina in Punta Cana, near Tortuga Bay, as well as the marina at Aquamarina Marina in Cap Cana. The marina in Cap Cana can also dock mega yachts. There are two main kinds of charter: bareboat and crewed. A bareboat charter is the charter where no crew or provisions are included. That is the people who rent the vessel are responsible for taking care of everything. Crewed charter means the yacht comes with a crew. This can be anything from a 35-foot boat with a husband-and-wife team serving as captain and chef to a 300-foot boat with a squad of 30 or more crew members including stewardesses, engineers, deckhands, scuba dive masters etc. There are hundreds of bareboat yacht charter brokers or agent companies. To search yours enter “Yacht charter broker” in google.